Cusmin can be updated like any other WordPress plugin, just go to the Plugins page and see if a new Cusmin update is available. Click on "Check for updates" link on Cusmin plugin on this page. 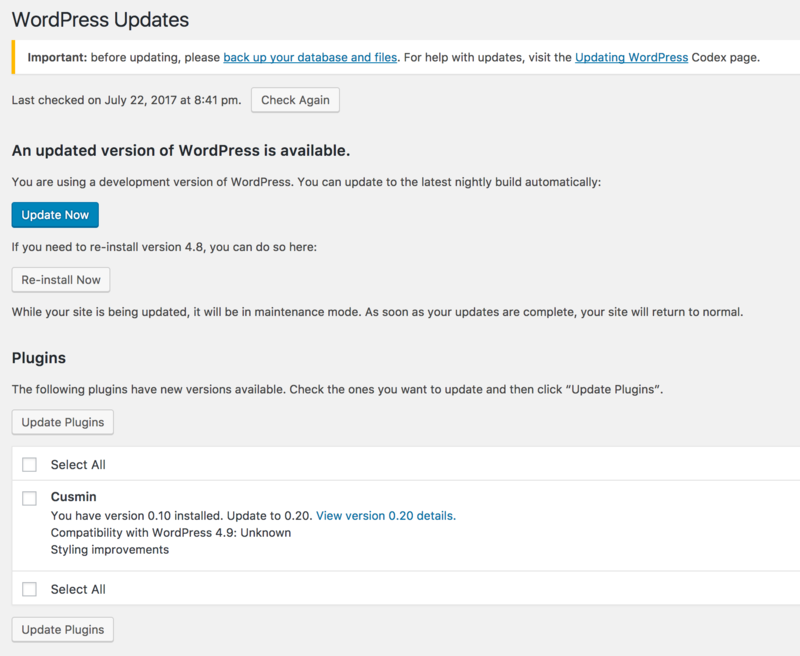 Another way to check for Cusmin updates is to check for all updates generally on your WordPress site. To force-check for updates manually, go to Dashboard > Updates and click on "Check Again" button. If a new update is available, it will appear here as well.